We think of ourselves as your cloud hosting partner – not just a service provider. If you are concerned about data privacy laws, rest assured that YSOS is 100% Canadian owned and operated. Our sales and support team are located in Ottawa and our Canadian public cloud hosting platform is in a secure tier 3 datacenter facility in Montreal. Our hosting philosophy is based on guaranteed performance. While other hosts may try to cram as many accounts as possible on shared servers, we have used our years of experience and the technical analysis performed by our technical gurus to determine exactly how many accounts we should be putting on any given server. In addition, we are continually upgrading our hardware platforms to be among the best in the industry. Each top-of-the-line cloud optimized server environment we now use could easily handle an insane number of clients, but we still keep the numbers low. It’s better for you and … well, it helps us sleep easier at night. Yes, outsourcing support can save a lot of money, but nothing is more infuriating for a customer than dealing with a support technician that doesn’t understand the problem or has difficulty communicating. We are proud to say that we have grown a great team of dedicated staff members, all based right here in Ottawa, Canada. Each is fully trained to know our company and services inside and out, fluent in English and has excellent people skills. We actually like helping people. You will receive all the features you pay for, and they will all work. The amount you see on your invoice will be the amount you will be billed. When you sign up, you can keep paying that price as long as you are a YSOS customer. 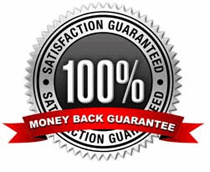 If you are ever dissatisfied with our service or feel we haven’t lived up to our Awesome Hosting philosophy, we offer a 100% money-back refund for a full 60 days on new web hosting accounts. There are no questions asked and no red tape to cut through.